One of the many indulgences that I could never resist, is a trip to a spa. 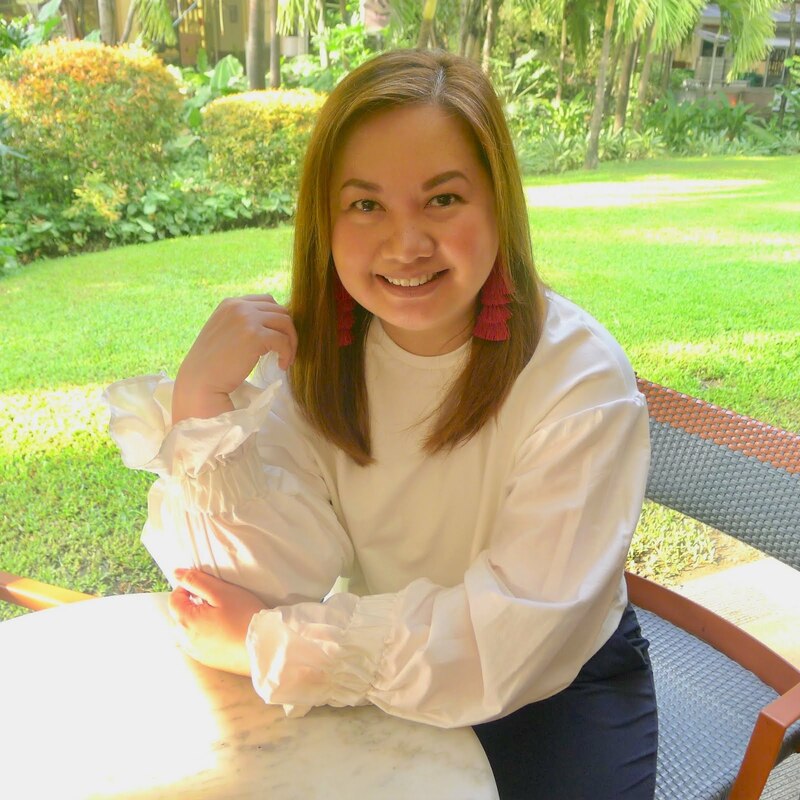 When an invitation for a Wellness Spa Experience and Spa Cuisine at Toccare Spa arrived from Leah Dy, Vice President for Operations of Elohim Spa Solutions, Inc. I got really excited! I love the mother of pearl wall installation at the reception of Toccare Spa. It's so luxurious! 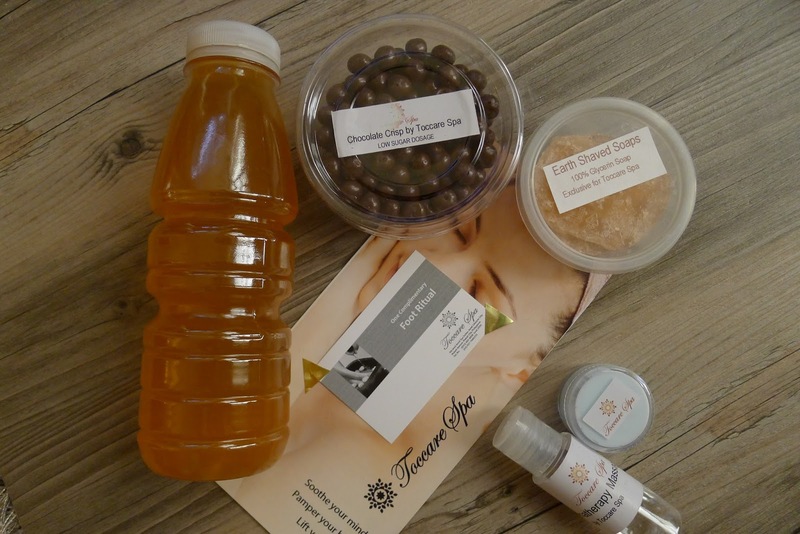 I started my Toccare spa journey with a selection of massage oils which comprised of lemongrass, green tea, lavender, peppermint and virgin coconut oil (I chose green tea). I was also asked to choose what type of music I would like to hear during my treatment, they had a selection of nature - water, birds and plants, classical, jazz and ethnic (I chose nature, water. I love the sound of water. I can close my eyes and lull myself to sleep especially at the beach!). I was also asked to choose what type of refreshment I would prefer, I had a choice between hot or cold herbal tea or dalandan juice (I chose dalandan juice). For the room scent, they asked me to choose between lavender, peppermint and vanilla (I chose peppermint). 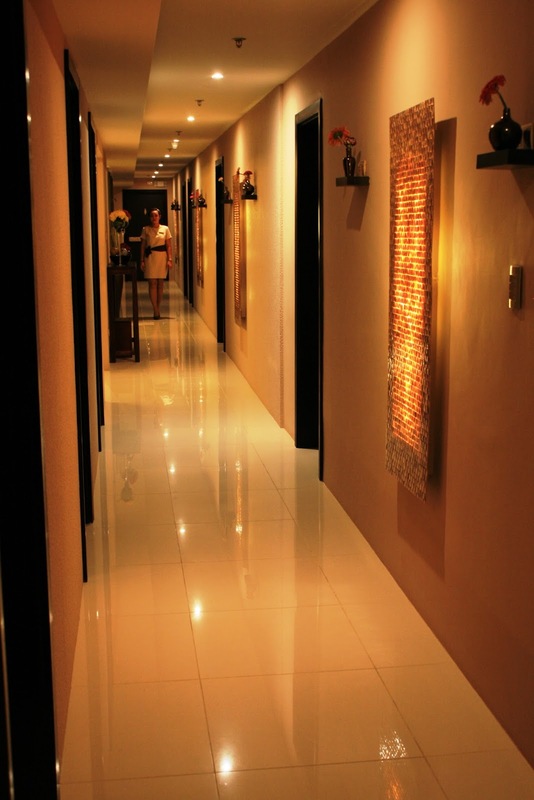 The hall that leads to the themed treatment rooms. 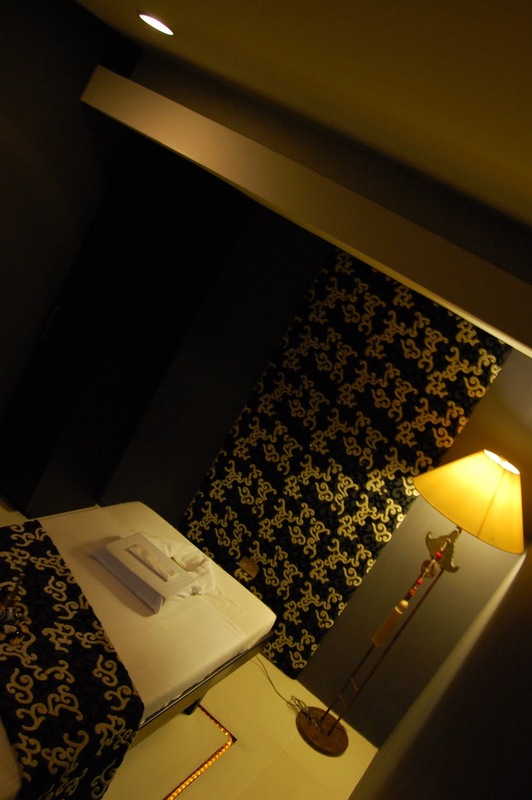 Part of the wet area that leads to the steam room, the experience shower, the sauna and the jacuzzi. While using the the wet areas, it is best to wear a bathing suit so that you'll feel more comfortable. 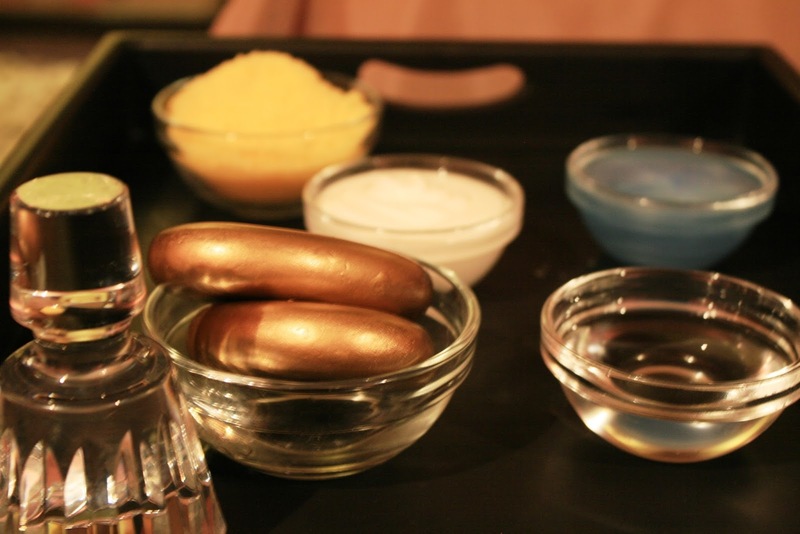 Getting ready for my spa treatments! Behind me are the individual lockers where you can keep your valuables and where you'll find your own robe to wear, a pair of slippers and your own towel to use while having your treatments at Tocarre Spa. I had a 60-minute foot and hand treatment in this room. It was very calming and luxurious! My feet and hands felt so soft and smooth after the treatment. Also, this room would be great for a spa party! I also had a relaxing 60-minute classic massage. A whole body massage that uses long strokes with firm pressure to ease sore muscles. While having my massage I had my chosen music of nature (water) on, which was so relaxing! The room was also filled with the peppermint scent that I love. My classic massage experience was very soothing, I almost fell asleep but I was fighting it off so I can enjoy the treatment. A spa cuisine was also prepared at Azurro after the spa treatments. 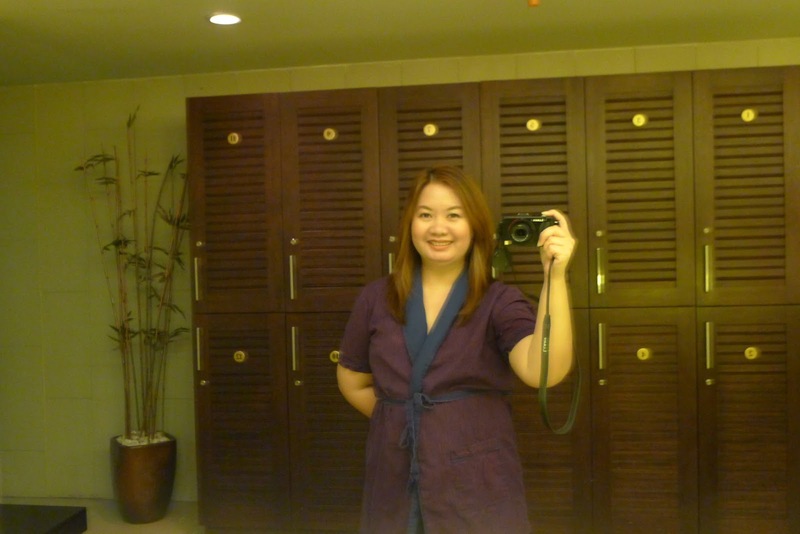 Relaxed, rejuvenated, re-energized and pampered to the hilt after my wonderful Toccare Spa experience. 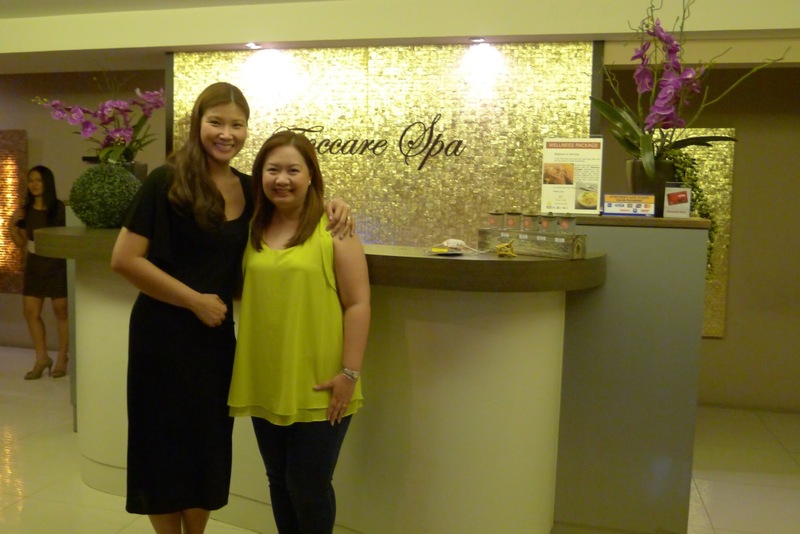 Here I am with the hardworking and always elegant Leah Dy, Vice-President for Operations of Elohim Spa Solutions, Inc. Thank you Leah for sending me these spa treats (from Bayani Brew, Chocolates by Fruits in Bloom, Earth Shaved Soaps by Expert Care Philippines and Spa products by Elohim Spa Solutions Inc.) that I could enjoy at home. The weekend is almost here, start a relaxing weekend and treat yourself, or go with loved ones or friends and try Toccare Spa's relaxing treatments! 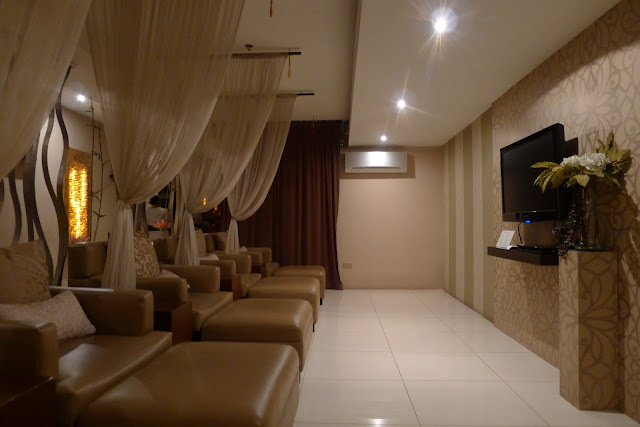 You'll find Toccare Spa at the 4th Floor of Best Western Antel Spa Suites, Antel Lifestyle City, 7829 Makati Avenue, Makati City. For inquires and reservations call (+63-2) 403-0808 local 2050, (+63-2) 555-1232, (+63) 927-768-6556.